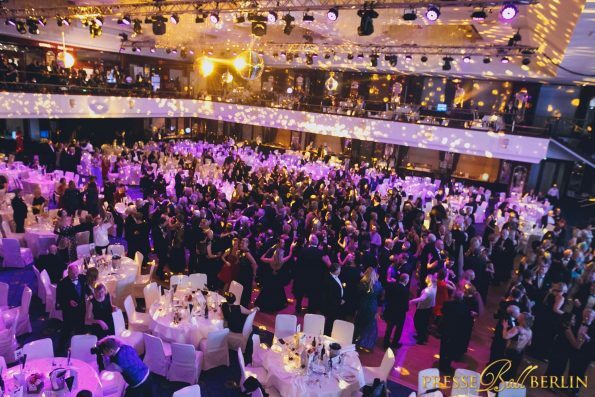 The PresseBall Berlin is a famous event in Germany. It was created in 1872 as a charity event for journalists in need, and through the years it has become one of the most beautiful and important events in Germany with the participation of personalities from the media world, as well as internationally renowned artists and prominent figures from business, culture and politics. These include Hannelore & Helmut Kohl, Walter Kohl, Gerhard Schröder, Edzard Reuter, Ferdinand Porsche, the Nobel Prize winner Günter Grass as well as Marlene Dietrich, Gina Lollobrigida, Claudio Abbado, Gilbert Bécaud, Ray Charles, Boney M., Brigitte Nielsen…. 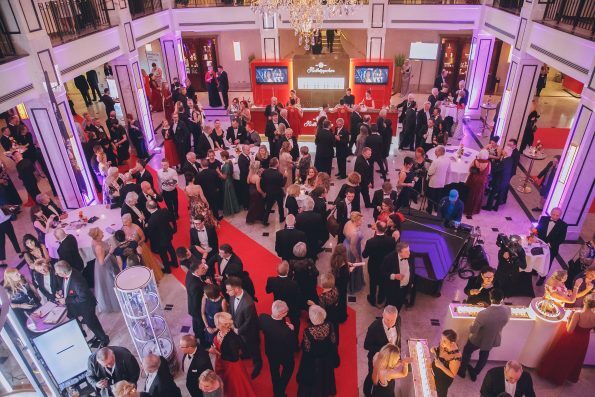 Over the years, all these people have contributed to the popularity of the traditional Ball. 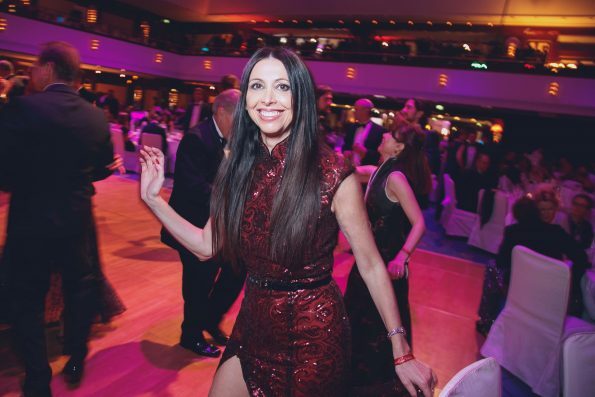 For the 2019 edition, which was held on 12th January, the organiser, Mario Koss, chose the international star, Lorena Baricalla, prima ballerina, actress and singer as guest of honor. The Monegasque artist has performed around the world in 35 countries, in theatre and on television and is very well known in Monte Carlo. She began her career by performing the leading roles at the Monte-Carlo Ballet: Sheherazade, the Mermaid in The Prodigal Son, the Marquise in Marco Spada, the Gypsy in The Two Pigeons, the Taming of the Shrew, dancing the works of the 20th century’s greatest choreographers, from Balanchine to Ashton and from Forsythe to the Russian Ballets of Diaghilev. In addition, she has often been the star of the National Day Galas in honor of the Prince of Monaco. With the aim of furthering her eclectic career she then founded Promo Art Monte-Carlo Production, an international production company based in Monte Carlo, which produces her as an artist. Versatile performer, Lorena has furthermore created a number of choreographies for theatre, television and important events, performing them at an international level with a cast of up to 100 supporting artists: Carmen, Thalassa, Time Machine, Belle Epoque Cancan, The Canticle of Canticles, Sheherazade, Worlds of Mysteries, The Michelangelo’s Caves, Legend, etc.. Thanks to her 3-octave voice range, she is the only soprano who sings while dancing on point shoes. As an actress capable of acting both on stage and on a set, with the same natural expressiveness in five different languages, she has now been requested for movie projects for cinema and television in America and in England. As well, she presents international events as Master of Ceremonies and she is an Ambassadress for numerous fashion brands based in Paris, Milan and Monte-Carlo, and for luxury brands such as the Swiss Century Time Gems Watches and Montblanc Haute Joaillerie. For the Pressball Berlin red carpet Lorena Baricalla wore an evening dress with a very glamorous train. In burgundy embroidered with sequins and with a Korean collar, it was created by Raquel Balencia, a Milan-based Spanish fashion designer who creates Handmade in Italy couture collections. The evening dedicated to ’30 years since the fall of the Berlin Wall’ saw the participation of over 2,000 people in the spacious venues of the Maritim Hotel in Berlin. Following the red carpet and cocktail, the diners were entertained with a show and by four musical groups for the dance floor. The opening speech at the event was given by Franziska Giffey, Minister for the Family in the German government. Other guests this year included Gérard Biard, owner and editor of Charlie Hebdo, the French magazine which was brought into the headlines by tragic events in Paris, and Jean-Marie Pfaff who, in Monaco in 2016, was presented with the World Sports Legends Award by Lorena Baricalla in her role as Master of Ceremonies and Ambassadress of the well-known international event which has just taken place for the third Edition.